The Fralin Museum of Art, U.Va. 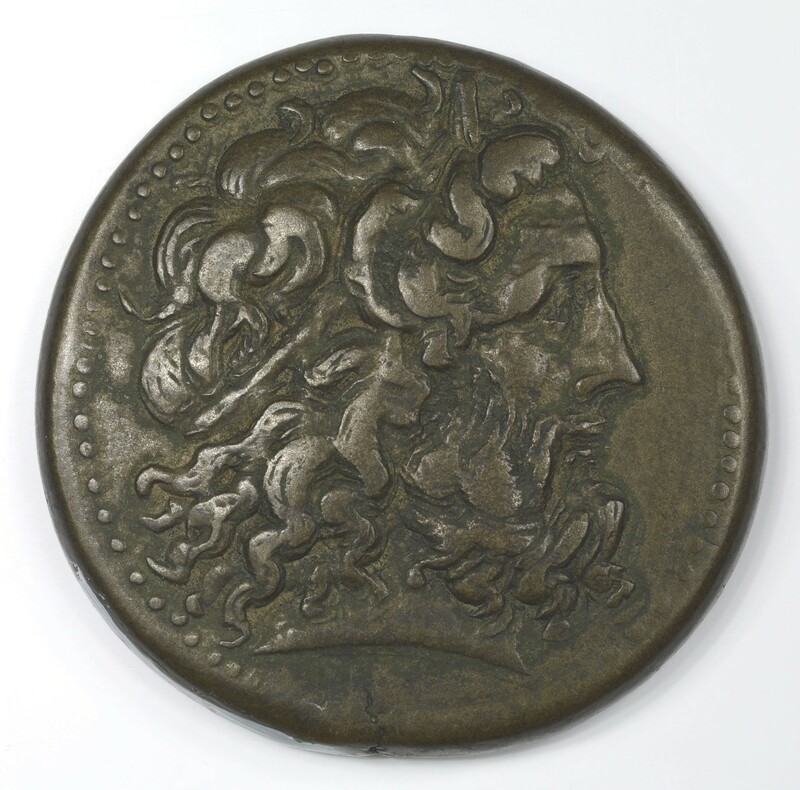 : Coin of Ptolemy IV Philopator, Alexandria, 221 B.C.-201 B.C. 1890. Obverse: Zeus-Ammon-Hercules facing right, border of dots. 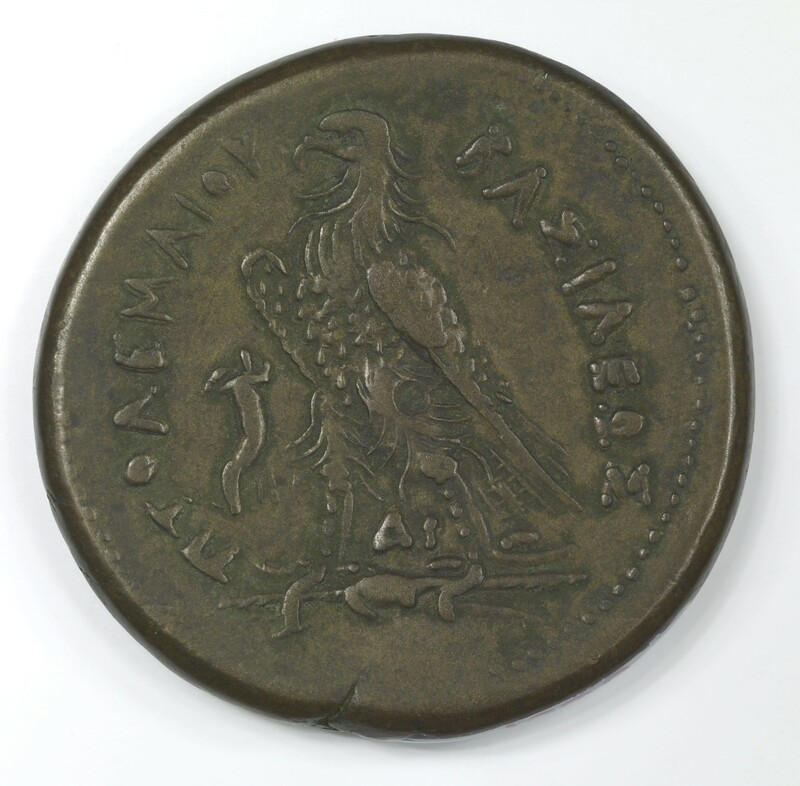 Reverse: ΠΤΟΛΕΜΑΙΟΥ ΒΑΣΙΛΕΩΣ (PTOLEMAIOU BASILEOS) - Eagle with folding wings standing in thunderbolts facing left. ΔΙ between feet. Cornucopiae in field left.